Baroness Hanham visits Southwark to see how the Near Neighbours programme is bringing people from different communities and faiths together. Yesterday (26 July 2012) Communities Minister Baroness Hanham joined young Olympics fans for a banner making Masterclass at St George the Martyr Church, ahead of welcoming the Olympic Torch as it passed along Borough High Street. The children had come together through Near Neighbours, a highly successful programme funded by the department. The programme uses the parish infrastructure of the Church of England to bring people from diverse communities and different faiths together to get to know each other better, take action on local issues and help them transform their local neighbourhoods. 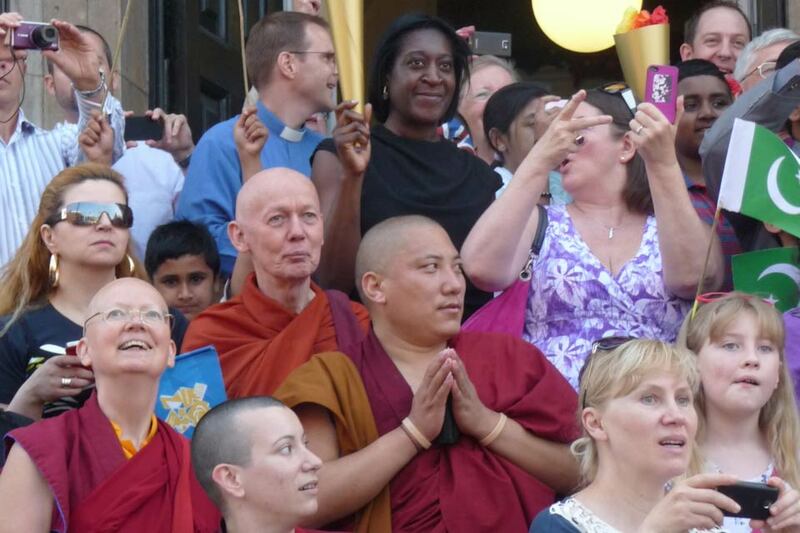 As the crowds watched the torch ‘kiss’ from the church steps, East London Near Neighbours co-ordinator the Rev. Tim Clapton encouraged the crowds of all backgrounds and faiths to recite a pledge of community spirit. 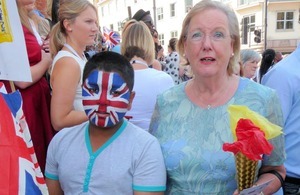 Following the torch procession, children from the local Rockingham Youth Group - a recipient of Near neighbours funding - hosted an impromptu Question Time, quizzing Baroness Hanham on the forthcoming Games and the work of the department. “It was wonderful to be able to join these young Olympics fans cheering on the torch bearers as the Torch arrived in Southwark on the final leg of its journey through our great capital. “These excited young Olympians participating in the arts and crafts games have done so through the Near Neighbours project which is bringing people of different faiths and backgrounds together through practical action, underlining the crucial role faith groups play in all our communities.